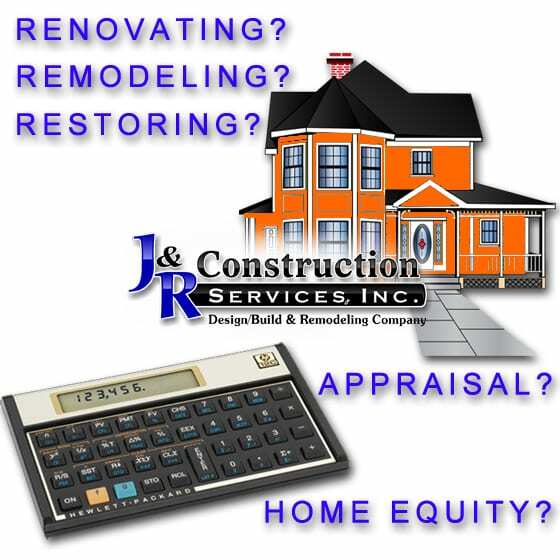 Are you familiar with the terms “renovating” and “remodeling” and “restoring”? Do you know the difference(s) between these real estate terms? If you are a homeowner, you need to know. If you are working with a real estate professional, such as a home appraiser to perhaps tap into the increased equity in your home, be sure to tell your appraiser about any/all recent changes to your home, so s/he can incorporate those changes into the value of your property. Let’s examine each term separately. “Renovating” is a rather specific term, literally meaning “to make new again.” The term is (or should be) applied to cosmetic changes—new kitchen faucets, counter-tops or cabinet handles, interior paint…these are all examples of renovations. Renovations don’t normally require any structural work, and they are almost always less expensive and less time-consuming than remodeling. “Remodeling” means “to change the structure.” If you add carpeting, siding, and a ceiling to your basement (effectively making it a finished basement), that’s remodeling. An addition to your property is remodeling. When it comes to making changes like wiring, plumbing—or any sort of remodeling for that matter—it’s important to let your real estate appraiser know every detail. Maybe the new paint isn’t as obvious—and the wiring/plumbing is definitely not as obvious—yet they are still expensive changes that can significantly impact the value of your home. “Restoration” and “renovation” are sort of opposites. Instead of renovating something older to make it look more modern, you restore it, making it look completely original. Put another way, you can perform an historic restoration, but not a historic renovation—that would be a contradiction in terms. Classic examples of restoration include: refinishing old wooden surfaces (wood moulding, wood paneling, built-ins, etc. ); re-painting chipped or faded paint the same color of its original state; re-installing an original slate roof; or restoring double-pane windows back to single-pane. IMPORTANT NOTE: If your property is in an historic district, there may be mandatory codes that require restoration. Call J&R Construction for all of your Residential needs! !